What a day! You went to Bob's Arcade while your mom was getting her hair done and you got the high score on your favorite game! Like he always does, Bob took a photo of the high score to add to his Wall of Fame. You were finally the best... for 5 minutes. Furious, Bob grabbed the photo of the high score and threw it in his safe, locked up tight and out of sight! What? Why? Then you saw it: The Wall of Fame has photos of high scores, but they were all Bob's! He couldn't STAND that you had the high score in a game he didn't. What a jerk! Well, you have a plan! 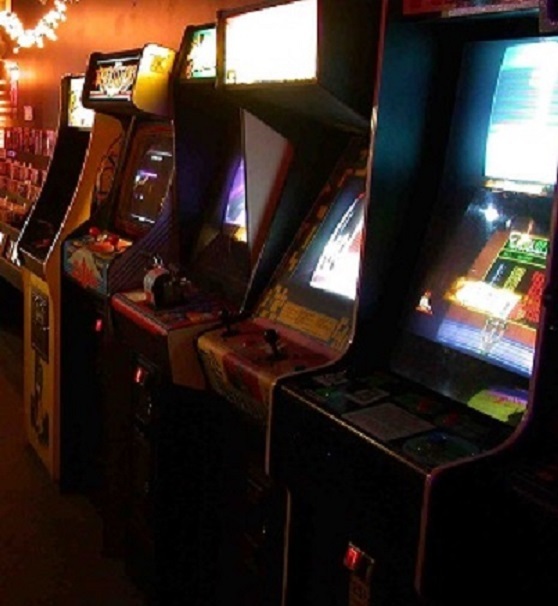 Gathering your friends, you break into Bob's Arcade to steal back the high score. Unfortunately, you triggered the alarm and the door is locked! Bob has been alerted and is on his way! In one hour, you have to find a way to get into the safe, collect your photo, and get back out. Easy. But wait! What was that noise? The door has locked you in! Guess ol' Bob anticipated this little break-in. Well, now you have TWO objectives! Steal back your high score photo AND get out before Bob gets in and catches you!